Lucky Logician wrote: I didn't realize this hadn't already been posted. I saw Krok and Quake at a couple Ross stores in Panama City and Pensacola last week. Yeah, I don't have a Ross in the state, but I've seen a few people post about this in the forums. I guess I just assumed they'd already been in the news. Don't bother checking TJMaxx, they're full priced there. I'm surprised to hear that. I don't think I've ever seen "full priced" Transformers at Marshall's or TJ Maxx before. They botched the original price, saying it was $20-something so they only marked it down to $16.99 or so. I had posted a photo of the price tag, but can't find it, it's on the forum somewhere. Others have found the same thing so it's a chain-wide issue. Lucky, I haven't seen any Transformers in any Marshalls/TJ Maxx/Ross near me in about a year I think. Kyleor wrote: Lucky, I haven't seen any Transformers in any Marshalls/TJ Maxx/Ross near me in about a year I think. Ditto, last TFs I saw at TJ Max were deluxe Combiner Wars figures wave 6 and AoE deluxes at Marshalls. Been kind of a drought at the discount stores as of late. 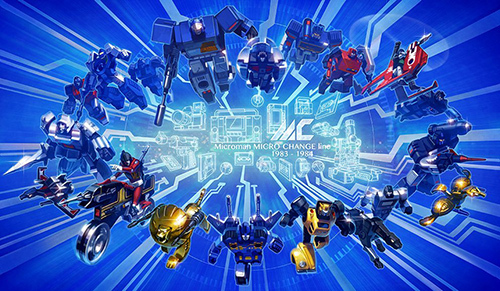 I was following the Trypticon Ollies thread from about a month ago and came across this in the sales flyer for starting tomorrow, Thursday 5/17/2018. It's not as good as the previously reported $12 or so, but this is still a pretty great deal for a pretty cool Transformer. TOMORROW!! TODAY IN SOME PLACES!! If you're a scalper, and you go buy them up, I don't wish you harm. Although I really hope you have a tire blow out and have to unload your trunk to get to your spare tire or jack or tools, and it's raining, and all the boxes and your profits are ruined. I mean, I'd go for the fan!! Waitasecond..where'd that other post come from?! itscramtastic wrote: Waitasecond..where'd that other post come from?! But I didn't! I got a "reply to thread" notification that wasn't the post from o.supreme and the only one was that other one between your post and mine!! CRAZY THINGS ARE AFOOT!! KREMZEEKS ARE ERRYWHERE!! itscramtastic wrote: But I didn't! I'm talking about the person that posted the ollie's thing before you. That's what I thought you were talking about. itscramtastic wrote: But I didn't! I got a "reply to thread" notification that wasn't the post from o.supreme and the only one was that other one between your post and mine!! Nope. First time poster sitting in the queue waiting for approval. Once approved, it sends a email notification regardless of when it was posted. WELCOME EMOTIM!!!! Thanks for the post! Good luck to all who have access to Ollie's! Well, you ninja'd me Cobotron. I'll remember this day!! Cobotron wrote: Nope. First time poster sitting in the queue waiting for approval. Once approved, it sends a email notification regardless of when it was posted. 6 hours is a haul round trip, BUT THINK OF THE ADVENTURES TRYPTICON WILL HAVE ON THE TRIP BACK!! itscramtastic wrote: Oh snaps errybody. Thanks to a heads up from new user EmoTim and long time member Itscramtastic, we have news that Ollies, source of many insane Transformers deals over the past month or so, has advertised that starting tomorrow, the stores will be carrying Titans Return Trypticon for $49.99! Now this price may not surprise many people, seeing as how we have had sightings of Trypticon at Ollies for as low as $12 in the past month or 2, but this is the first time it is being advertised, and it must be a big deal if it made Ollies catalog. The original price for this figure was $149.99 (instead of the advertised $139.99, which was a price found on later, price lowered units), so this is a $100 savings if you can find the figure! The sale is listed as officially starting tomorrow. Ready to hunt down the giant Decepticon kaiju? Good luck hunting, and let us know if you find 1 or many more in the comments section below as well as in our Toy Haul Thread! I have heard of people finding the wave that had Misfire and Twintwist at Ollies recently as well. If anyone finds these, please put them up on ebay for a reasonable price. Yes they have had multiple different figures, including Misfire and Twin Twist (although they ran out really fast!) and just got a $49.99 Trypticon today! They also had a random Voyager Optimus Prime in a mangled box for an excellent $12.99. Sure, that makes sense. Passed since I already have two. Is this the fixed hips version? the $ 49.99 Trypticon that is. fenrir72 wrote: Is this the fixed hips version? That just occurred to me last night. Perhaps the reason why these have sold so inexpensively is that these are the initial "bad batch" (Hip spring too big, warped green plastic door etc...), has anyone opened and played with any of these (even the previous $20 ones), to confirm? For what its worth, My Trypticon was purchased at a local TRU back in September (never saw it on the shelf, just happened to look behind the customer service desk and had to swindle it from the clerk), and it has no problems. So I don't think any of us knows the timeframe of when the fix exactly occurred, or how many defective ones were manufactured. 5,044 pages were recently viewed by 705 unique visitors. This page was viewed 1 times on Wednesday, April 24th 2019 11:22am CDT. © 2019 Seibertron, Inc. DBA Seibertron.com. All Rights Reserved. Established June 2000. Seibertron.com is owned by Ryan Yzquierdo.